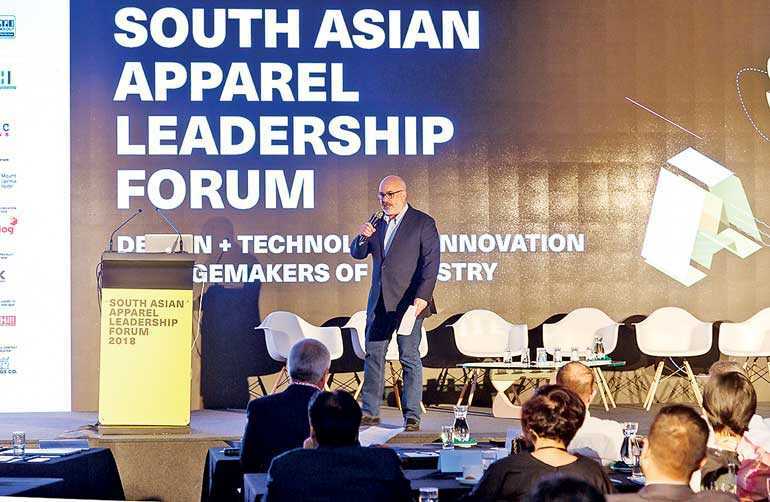 Kurt Cavano, Founder of GT Nexus – an Infor company – co-chaired the ninth annual South Asian Apparel Leadership Forum held in Colombo, Sri Lanka in 2018. It was the dedicated apparel business intel forum held as part of the Mercedes-Benz Fashion Week Sri Lanka. Here, Cavano shared new insights around disruption and innovation in the fashion business – and described how the local industry can transform to continue its growth and take a leadership role. The apparel retail world continues to bear the weight of massive economic and social pressures ranging from rising customer expectations, amazon/e-commerce demands, and shifting trade and tariff laws. At the same time, there’s been an explosion in technology and computing power that empowers small startups to bring new models to market, and tech-savvy apparel providers to harness AI and social media to engage with customers in new ways that better meet their needs. Some industries and enterprises have tended to pushback against change and innovation. The Sri Lanka apparel community has been at the forefront – embracing transformation and change and applying it everywhere from facilities, to fabrics, to production processes and into strategic co-innovation programs with brands. Cavano emphasised that change and innovation should be embraced, instigated and steered as Sri Lanka must continue pressing forward. “Most industries, fear change,” Cavano said.“Some anticipate it and prepare for it by strategising and mitigating risk – which is good. But, Sri Lanka’s apparel industry not only prepares but charges towards change – which, I think is fantastic. And we should all applaud this.”Cavano encouraged the industry to continue this trait, and highlighted it as the quality that will define the future of Sri Lanka Apparel, and set them apart from the rest. This was Cavano’ssixth year contributing to the knowledge-base and expansion of the Sri Lankan apparel industry. He has always taken a strong stance on the role of the value chain in the evolution of the fashion business. Cavano, founded GT Nexus – now an Infor company – which went on to become the best known cloud-based global supply chain management system with clients spread across all continents, making it the largest cloud platform of its kind. With a BS in Bioscience from Penn State University and an MBA from New York University, Cavano serves on several boards including the American Apparel and Footwear Association and the American Apparel Producers Network. He travels the world speaking and writing on topics concerning technology, international trade and global supply chain management. He was even listed among the World Trade Magazine’s 50 most influential people. It is this wealth of experience and fashion business know-how that Cavano brought over to Sri Lanka at the South Asian Apparel Leadership Forum.